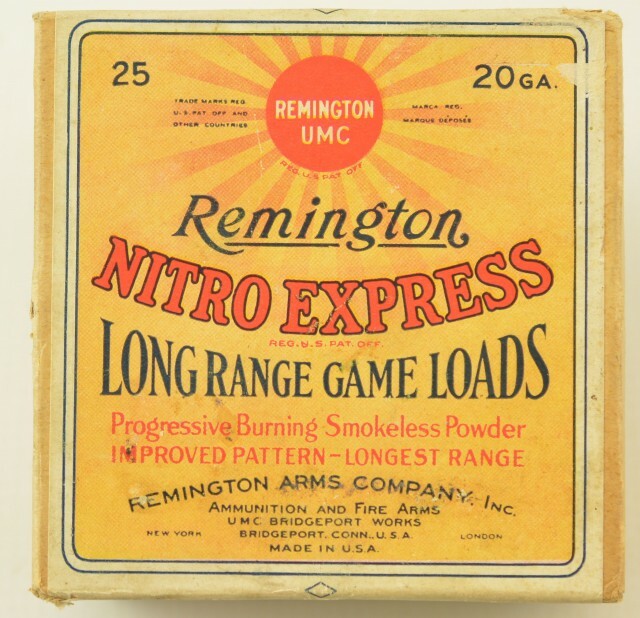 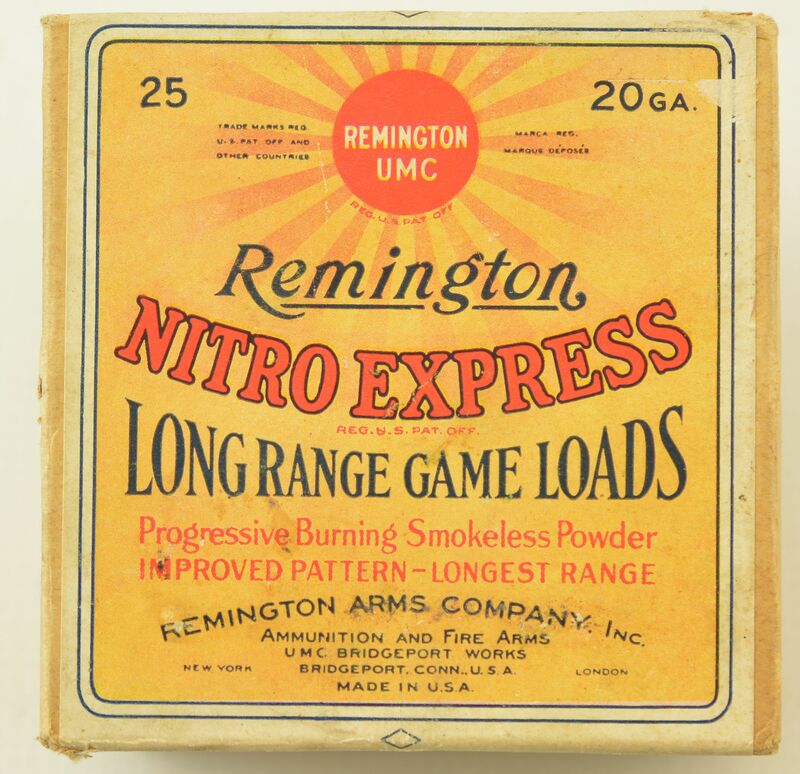 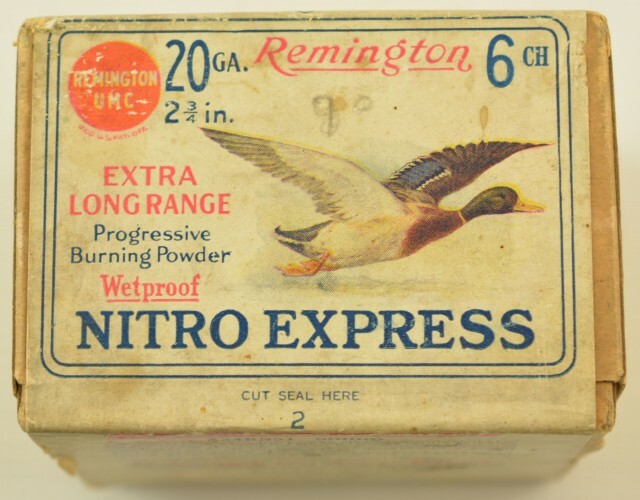 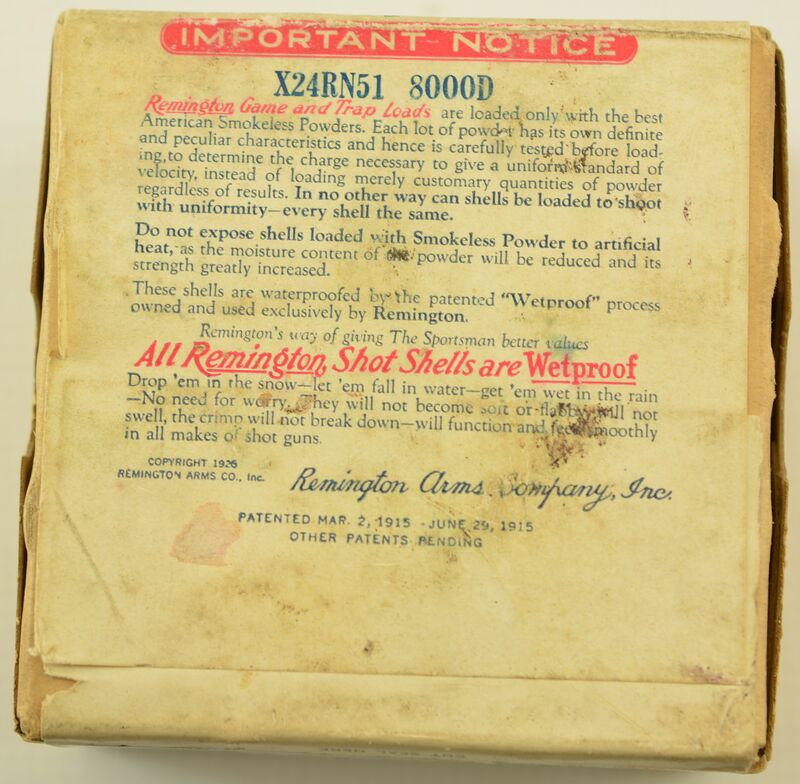 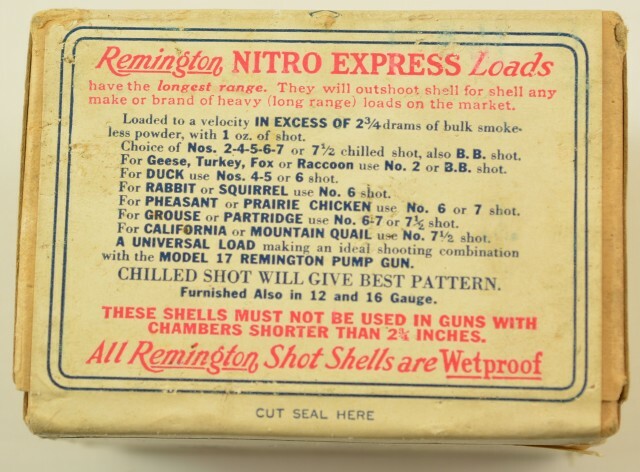 Description: Remington nitro express, long range game loads, 20 g 2 piece sealed box. Buff with sunburst logo and mallard in flight on the front face. 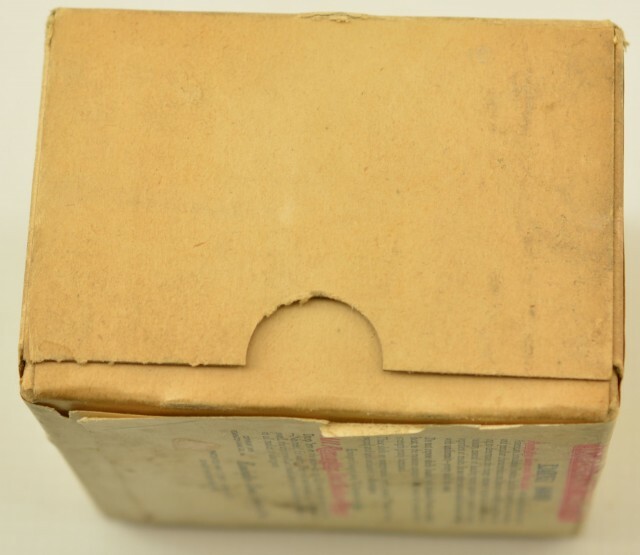 Excellent box with protective plastic wrap. 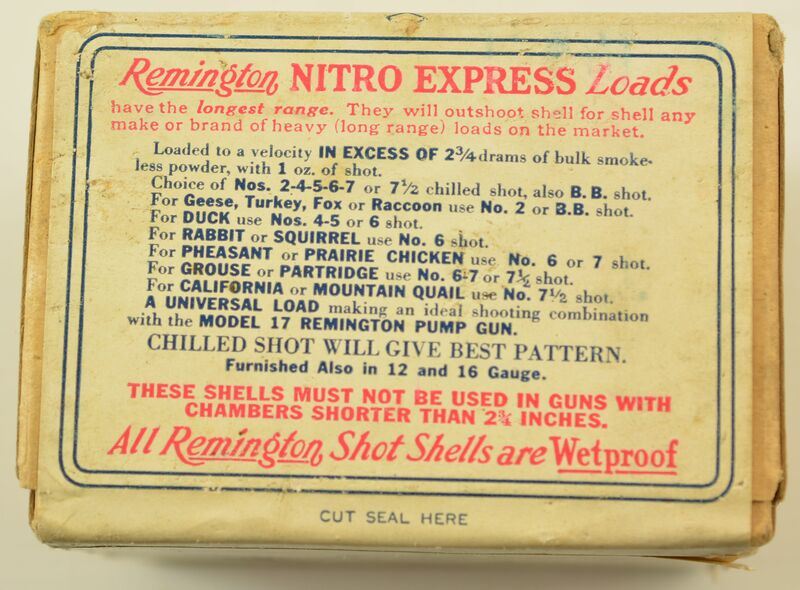 Grades excellent circa 1920's 20 ga box.